​Manchester City are set to demand a public apology from Bayern Munich president Uli Hoeness after the 67-year-old's controversial comment about the Citizens' transfer dealings. 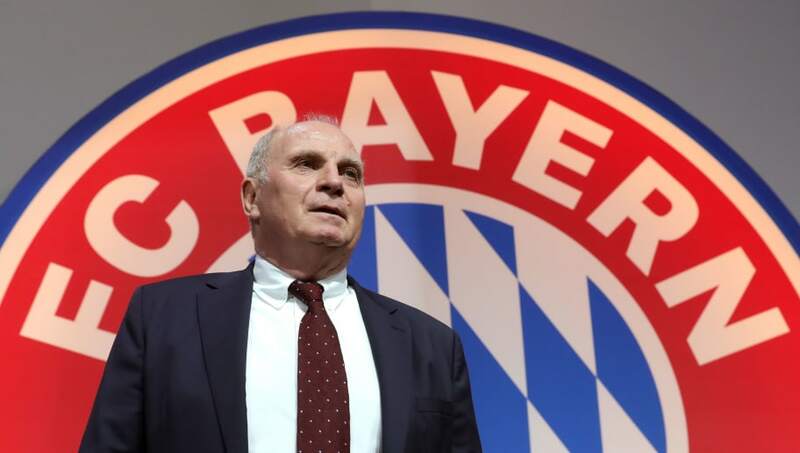 News of ​City's reaction to Hoeness' comments comes from ​The Mirror, who claim that the Citizens are prepared to take legal action if they do not receive a public apology from the ​Bayern president. In recent years, City have faced criticism for their level of spending in the transfer market. The likes of ​Riyad Mahrez, ​Kyle Walker and ​Benjamin Mendy have all arrived for high fees, transforming Guardiola's side into one of Europe's elite.